Lightweight, top-quality build and construction, low and slack geometry, impeccable specification and attention to detail, stunning colour. For as long as I can remember — and I’ve ridden this bike in most of its incarnations over the last 15 years — the Intense Tracer has been made from aluminium. Not any more. For 2014 the Tracer T275 gets a full carbon-fibre makeover. 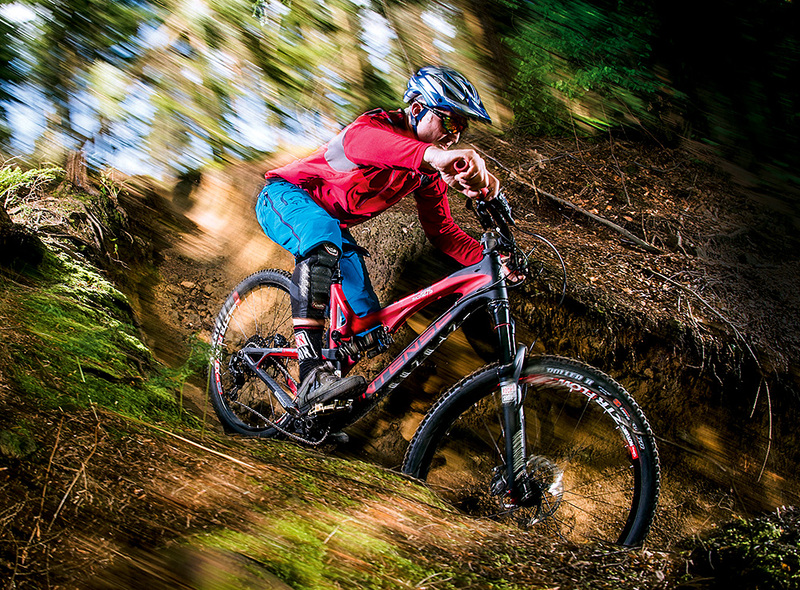 It’s still designed for aggressive all-mountain riding but with a frame weight of 2.6kg (5.7lb) and a bike weight that only just strays over the 13kg (28.7lb) mark, there’s nothing stopping you using it as an all-day trail bike that just happens to have a bit more travel. Since Intense was designing the T275 from scratch, it took the opportunity to revamp the geometry too. Compared to the older aluminium Tracer the T275 has more travel (it’s adjustable from 140-160 rather than 130-150mm) a slacker head angle, lower bottom bracket and shorter chainstays — as such, you can push it much harder on the descents. For 2015, the aluminium Tracer will also be updated with the same progressive geometry. The T275 is also light enough to make it efficient on the climbs, although I’d recommend bumping the saddle all the way forward on the seatpost as the seat angle is pretty laid back. To sharpen the handling I’d also ditch the 50mm Crank Bros Iodine stem for a shorter 35mm. 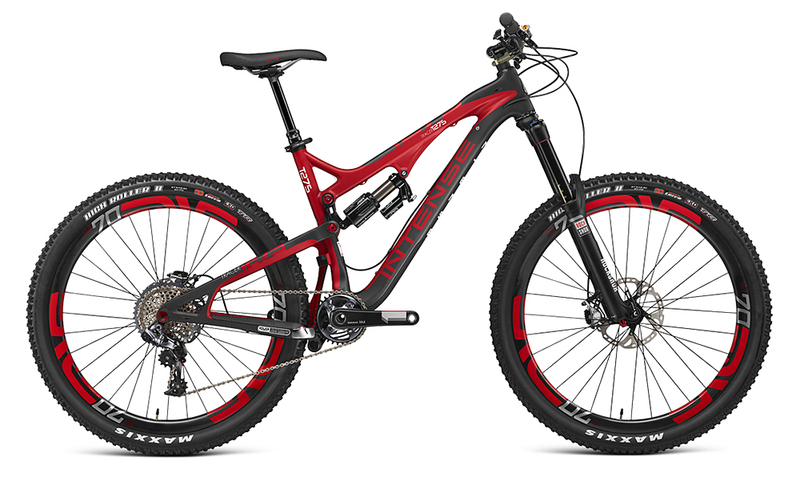 In terms of intended use the Intense Tracer T275 is broadly in the same category as the Orange Alpine 160 RS we previewed last month. With its longer and slightly slacker geometry the Alpine is probably faster and more fun when it comes to hammering the downhills, but with a 2kg advantage, the Tracer has the edge when it comes to getting back to the top. That kind of weight saving doesn’t come cheap, however, so you’ll lose plenty of pounds from your wallet too.